Getting friendly with the neighbour’s leg, pooping in the park, sticking your nose (literally) where it doesn’t belong and shaking your wet hair over somebody at the beach.....as humans we wouldn’t engage in such bad mannered behaviour, so why should pets get a free pass? With Australia having the highest rates of pet ownership in the world and with pets increasingly being treated as members of the family, practicing pet etiquette is a crucial part of everybody getting along as they should. Some modern pet owners consider their pets as one of their children and it’s easy to become complacent when your pet goes everywhere with you. However the dog that is allowed to pee in neighbours’ gardens, lick and sniff strangers and hog the footpath while out for a walk won’t win any admirers for the dog or the owner. Good petiquette is simply thinking of others when it comes to your pet’s behaviour and understanding that good behaviour has to be practiced at both ends of the leash. 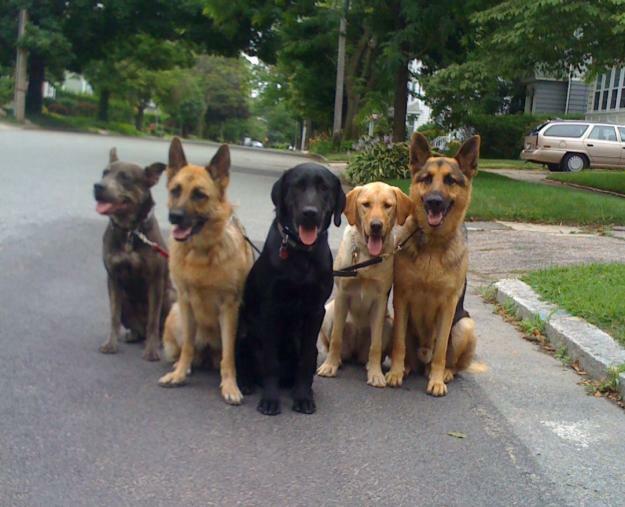 Petiquette gets put to practice for this group of dogs!